We eat a healthy diet, get plenty of sleep and exercise, and meticulously wash our hands, however, despite our hardest efforts our children will still sometimes get sick. Especially during flu season, when we spend more time indoors and in contact with others who may be harboring the virus and touching all of those germ ridden doorknobs. In the event your child comes down with the flu, be as prepared as possible. There are all natural remedies that can provide relief, and many of the items you need to help your little one cope with the flu can be found in your kitchen cupboards, and are free from artificial colors, flavors and chemicals. Read on to learn about 5 all natural flu remedies for babies and kids -- and we hope that the flu spares you and your family and that you won't need to use any of them! Please note: These remedies are suggestions on how to help your child cope with the flu -- they should not replace seeking thorough, professional care from your pediatrician to treat and assess your child's illness. Tea isn’t just for adults. In fact my son enjoys a nice cup of caffeine-free tea several times a day. I wonder if this is partially the reason that he never gets sick! Besides preventing dehydration, teas made with mint and ginger are especially good for detoxifying when suffering with the flu. 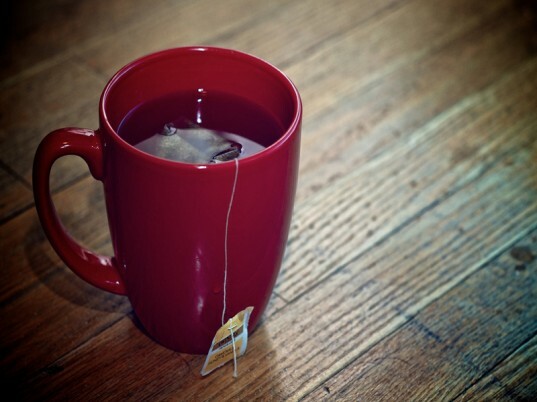 A great calming and relaxing tea, such as chamomile is great for before bedtime. And be sure to add a drop or two of organic honey to your child’s cup of tea, as it’s a natural antimicrobial. Note: do not give honey to children under one year of age, and make sure tea is lukewarm if giving it to a toddler or young child not familiar with sipping hot liquids. During the winter months, we use the heating systems in our homes almost constantly. This not only drys out the air in our homes, it can dry out our bodies as well. Add a little moisture back in the air in the form of steam. 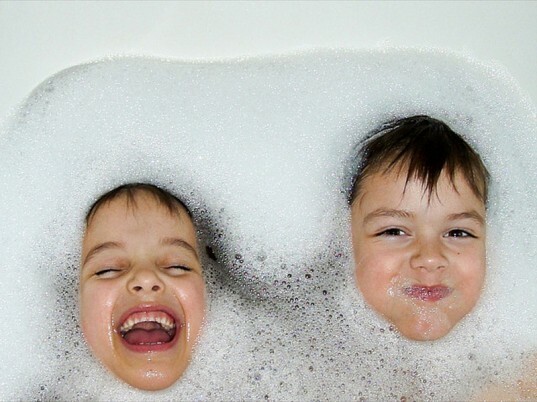 A great option is to leave your child’s bathroom door open during a hot bath to let the steam seep into their bedroom. Also, a humidifier is ideal for helping to break up congestion — and when you add a little organic eucalyptus or tree tea oil it can help with thinning mucus and provide overall relief. You may want to try running the humidifier during the night when your child sleeps, since that may be the time of the day when the flu is particularly unbearable for them. If sick with the flu, the last thing that your child will feel like doing is eating. However, proper nutrition during the flu can help determine how long it lasts and how quickly they may bounce back to optimum health. Do your best to get your child to eat. Start with a hot organic soup — even if it is just the broth — and include ingredients such as thyme, rosemary, sage, and garlic, all of which contain antimicrobial properties. You can also add vegetables and proteins that will become very soft in the broth such as, carrots, potatoes, tofu, onions, and celery. In fact, whenever my son is sick with the flu or a cold, he requests miso soup! Note: Let soup cool to a temperature that will not burn your little one before feeding him/her. Taking a soak in a bath may make your child feel better when they have the flu – however only if they aren’t experiencing a fever. If they are, a cool bath may help to relieve their discomfort. In either event, adding 2 tablespoons of organic mustard powder and 1/4 cup organic baking soda to create a mustard bath is a great way to draw out the impurities in your child’s body, since mustard has detoxifying properties. Sometimes the one thing that will make a child feel better than any medicine is the human touch. I like to lay on the sofa with my son whenever he is ill and give him a massage, foot rub or even just gently caress his hair and back. He also really enjoys when I make my homemade organic coconut chest rub and give him a chest massage. Doing so helps to break up his congestion and makes his body feel better too! It’s an easy recipe of 1 tablespoon organic coconut oil mixed with 4 drops of organic eucalyptus, peppermint and lemon essential oils. How do you help your child cope with the flu? 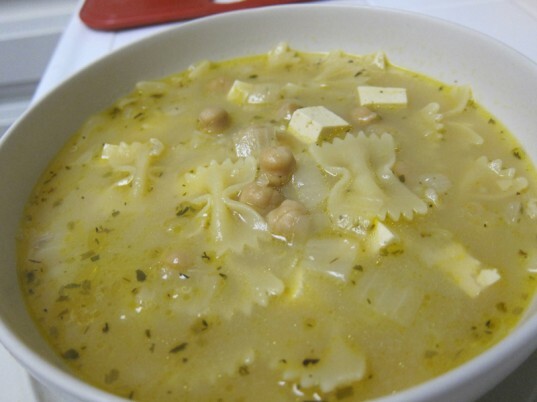 The soup in the picture looks so wholesome and yummy. Would love the recipe! Nice tips except for the homemade chest rub. 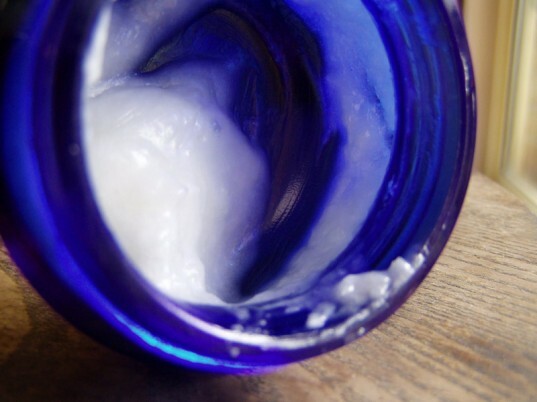 Depending on the age, some essentail oils are not safe for young children. For example, peppermint and eucalyptus are not safe for children under 6. Tea isn't just for adults. In fact my son enjoys a nice cup of caffeine-free tea several times a day. I wonder if this is partially the reason that he never gets sick! Besides preventing dehydration, teas made with mint and ginger are especially good for detoxifying when suffering with the flu. A great calming and relaxing tea, such as chamomile is great for before bedtime. And be sure to add a drop or two of organic honey to your child's cup of tea, as it's a natural antimicrobial. Note: do not give honey to children under one year of age, and make sure tea is lukewarm if giving it to a toddler or young child not familiar with sipping hot liquids. During the winter months, we use the heating systems in our homes almost constantly. This not only drys out the air in our homes, it can dry out our bodies as well. Add a little moisture back in the air in the form of steam. A great option is to leave your child's bathroom door open during a hot bath to let the steam seep into their bedroom. Also, a humidifier is ideal for helping to break up congestion -- and when you add a little organic eucalyptus or tree tea oil it can help with thinning mucus and provide overall relief. You may want to try running the humidifier during the night when your child sleeps, since that may be the time of the day when the flu is particularly unbearable for them. If sick with the flu, the last thing that your child will feel like doing is eating. However, proper nutrition during the flu can help determine how long it lasts and how quickly they may bounce back to optimum health. Do your best to get your child to eat. Start with a hot organic soup -- even if it is just the broth -- and include ingredients such as thyme, rosemary, sage, and garlic, all of which contain antimicrobial properties. You can also add vegetables and proteins that will become very soft in the broth such as, carrots, potatoes, tofu, onions, and celery. In fact, whenever my son is sick with the flu or a cold, he requests miso soup! Note: Let soup cool to a temperature that will not burn your little one before feeding him/her. Taking a soak in a bath may make your child feel better when they have the flu - however only if they aren't experiencing a fever. If they are, a cool bath may help to relieve their discomfort. In either event, adding 2 tablespoons of organic mustard powder and 1/4 cup organic baking soda to create a mustard bath is a great way to draw out the impurities in your child's body, since mustard has detoxifying properties. Sometimes the one thing that will make a child feel better than any medicine is the human touch. I like to lay on the sofa with my son whenever he is ill and give him a massage, foot rub or even just gently caress his hair and back. He also really enjoys when I make my homemade organic coconut chest rub and give him a chest massage. Doing so helps to break up his congestion and makes his body feel better too! It's an easy recipe of 1 tablespoon organic coconut oil mixed with 4 drops of organic eucalyptus, peppermint and lemon essential oils.